Camigliano is one of the most historic estates in Montalcino. 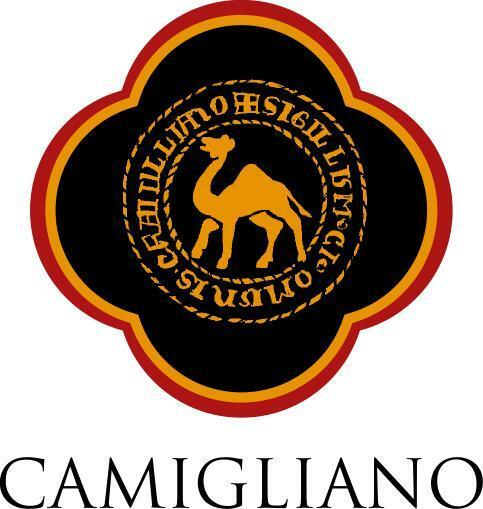 Acquired in 1957 by entrepreneur Walter Ghezzi, Camigliano was converted over time to the production of high quality wines, in particular of Brunello di Montalcino. The 1,300 acre estate is planted with over 220 acres of vineyards, 200 of which are Sangiovese vineyards. His son Gualtiero put a lot of effort into the modernizing the company. Through the construction of a new subterranean cellar and the demolition of the previous building, Camigliano restored streets and panoramic views, and regained an astonishing landscape of the high Maremma for the medieval town of 32 residents. The new cellar is fully equipped with modern technology. Its exposure together with its ventilating system ensures a consistent, cool temperature and ideal humidity. Wine is kept in tubs with refrigerating bands with a total capacity of 4,000 hectoliters. There are also Slavonian oak barrels with a capacities of up to 150 hectoliters that give the right amount of oak influence while retaining the distinct character of this Montalcino microclimate. Camigliano's annual production of 350,000 bottles is predominantly Rosso di Montalcino and Brunello di Montalcino. Camigliano also makes a limited production of Gualto Brunello di Montalcino Riserva and Campo ai Mori Sant'Antimo. Wine Spectator 93 "A firm, elegant and well-defined style, boasting cherry, currant, licorice, leather and spice flavors. Concentrated and long, with a robust, dense finish. Best from 2020 through 2033. 12,500 cases made" ~ BS James Suckling 92 "A ripe red with plum and lemon-peel undertones. Wine Spectator 93 "Almost salty in taste, featuring licorice, kirsch, raspberry and tobacco aromas and flavors. Supple in texture, with a light grain to the underlying tannins. Shows fine length, revealing echoes of cherry on the finish. Best from 2017 through 2030. 12,500 cases made."~B.S. Wine Enthusiast 92 "Attractive darkness and a smooth texture characterize this food-friendly Brunello. It’s bright and polished on the close." James Suckling 91 "More delicate style of Brunello, with chocolate and plum character, full body and a silky, delicious finish. Drink now. "~J.S.